SERVING THE VALLEY FOR ALMOST 50 YEARS! Weinberger Waste Disposal started out supplying topsoil in 1971 with the truck on the left. 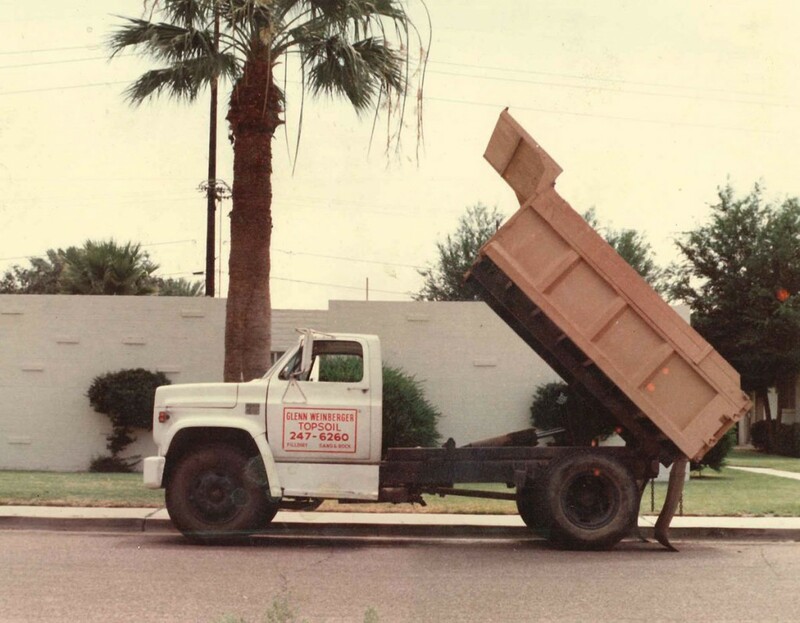 In 1981, Weinberger opened a new topsoil pit and an EPA and ADEQ permitted construction debris landfill in Phoenix, AZ. 10 years later we started our roll-off services division which developed into a large fleet of trucks such as the truck on the right. In September of 1999, the Phoenix landfill reached capacity and closed and Weinberger Waste opened the Rainbow Valley Landfill in Mobile, AZ. Weinberger Waste now operates 2 transfer stations, 1 landfill, and a fleet of 100’s of trucks and equipment to serve our customers. 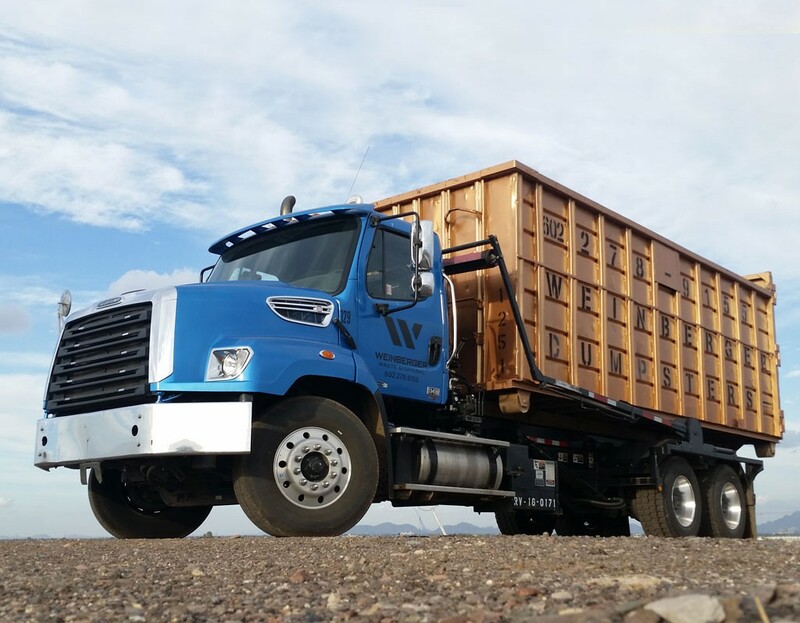 Our goal at Weinberger Waste is to provide trustworthy service at a fair price.